200+ Acres of property for sale located at 820 Norway Rd. Orangeburg, SC 29115. 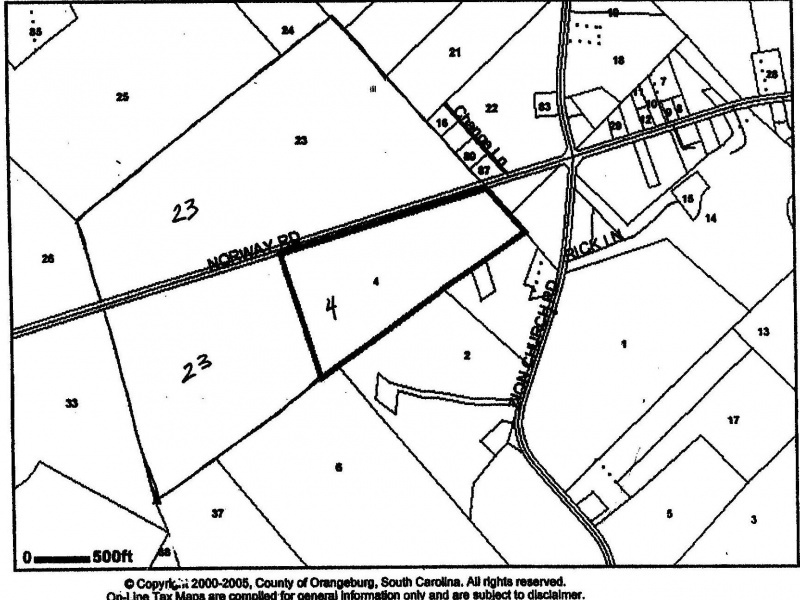 It consists of 2 tracts: #23 and #4, contiguous, and is listed in the county book of Orangeburg as 210 acres (it is advertised as 200 acres due to utility and road upgrades). Great location near Charleston, Aiken, airports, Atlantic Ocean, and beach resorts. This area is protected from major storms year-round. This is an opportunity to buy acreage with no zoning restrictions and unlimited possibilities! The property has been chemical free for 40 plus years and may be used for numerous purposes: endless business potential for horses; organic and natural farming; B&B; Retreat; Winery; Water Sports; Fishing; and Hunting. There are 2 artesian wells and springs which provide cool, clean water that have never run dry. One well is approximately 90 feet deep and the other well is about 82 feet deep. There is also a nice pond over 10 acres in size with running streams; and the property has water rights. It is approximately 15% water; 15% pasture; and 70% woods. As a new owner you may sell the trees to local companies who would be glad to cut and do the clean-up to convert some of the woods back to trails, pasture or growing areas, if desired. The property had multiple purposes in the past: It had a pecan grove, scuppernong grapes and winery, livestock, horse riding, fishing and hunting, cotton, corn, sugarcane, plus family reunions, church socials, barbecues, boat events, and live music and dances. Crops thrived due to the high quality artesian wells on the plantation. Call Janet Loder at 425-922-5959.